My favorite genre of music is the one that makes me feel like a Bret Easton Ellis character. The sort of night ride synth that puts you in a romantic nostalgia for a time and place you’ve never been. Austin’s very own Love at 20 does just that. Love at 20 is the 80s new wave pop child of Mike Groener. Love at 20 was born out of the ashes from Austin’s legendary electro band Clap! Clap! and Groener’s love for Depeche Mode. 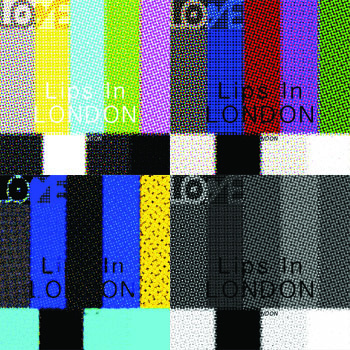 I can’t get their latest album Lips in London out of my mind. Think Drive soundtrack, but a little less death and destruction. If you’re a fan of Depeche Mode, The Cure, Erasure and Pet Shop Boys, you’re going to love this. Here is a collection of my favorite tracks. HA! My best friend is amazed that I listened to this band before him. This band is so him it’s almost creepy. Thanks, Lauren! Maybe not to you, but to many others, yes. Well I think Josh will be flattered to hear that. Thanks for checking out, Israel! Fun, right? Awesome! Thanks for the link, I picked up a copy. Awesome, Tim! I’ll let Mike know! Dude this is so rad. Thanks for turning me on to this.